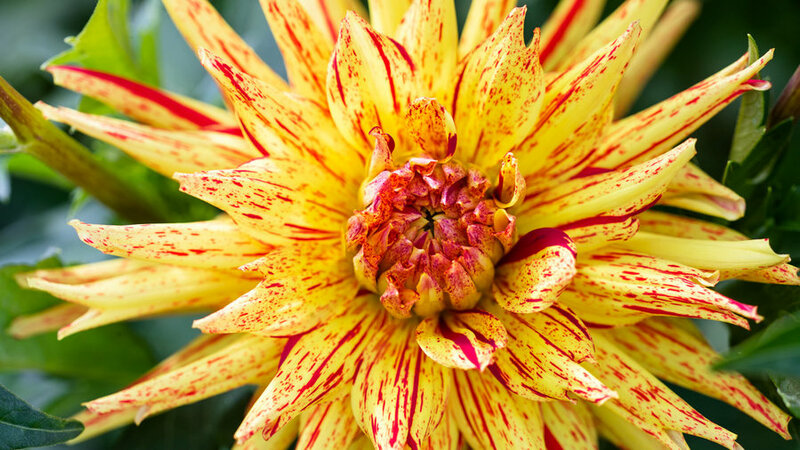 The 4-inch-wide blooms of soft yellow have random patterns of red striping all along the petals. 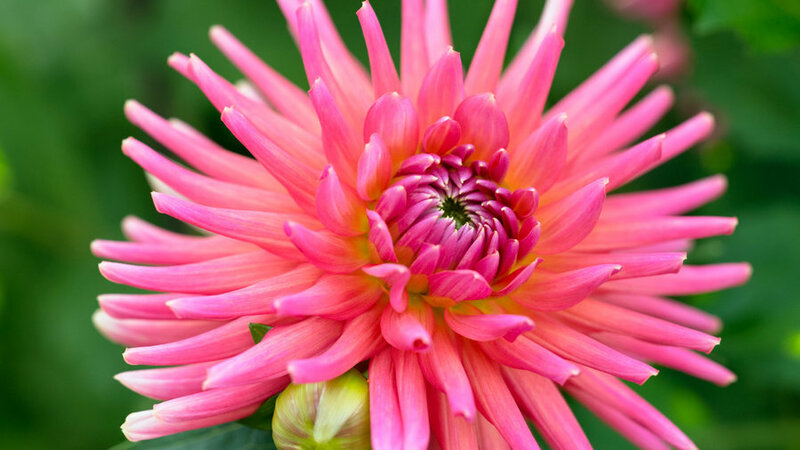 This straight cactus dahlia is definitely our knight in shining armor. 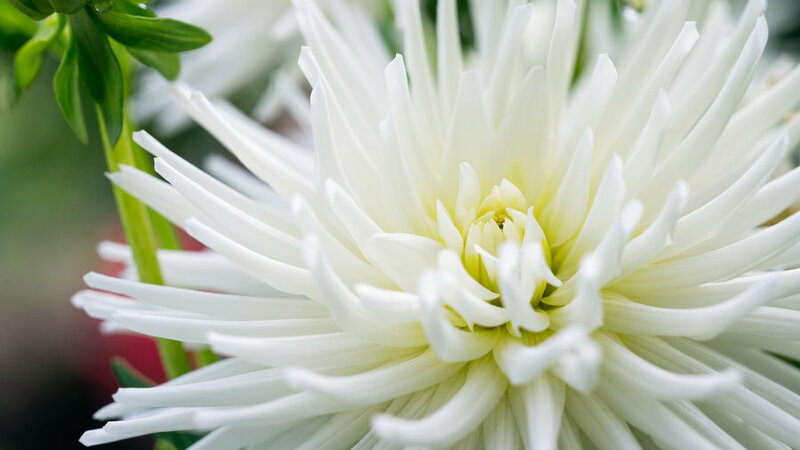 The white blossoms are 4 inches wide, while the plant reaches only 2 feet tall. 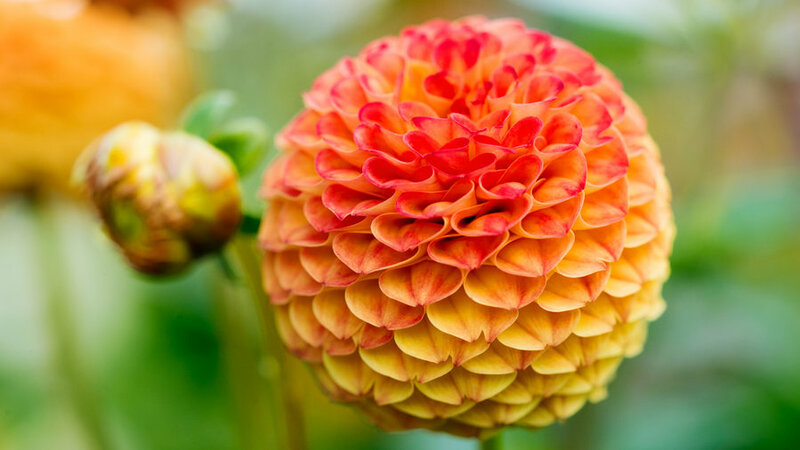 This formal decorative dahlia’s compact size—only 12 inches tall—makes it ideal for containers. The blossoms might not be as ornate as some, but the 12-inch-tall bush is as sweet as can be. 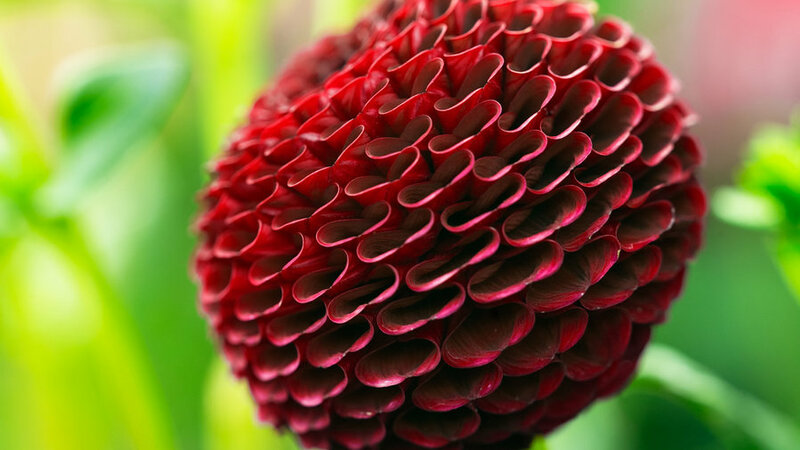 The 1-inch-wide, velvet red blooms are a bee magnet in the garden. As its name suggests, this plant is perfect for a hedge or border. 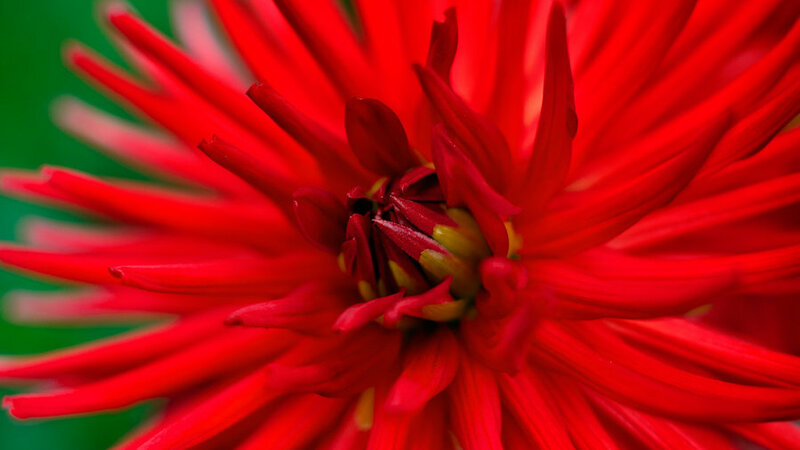 Here’s why: It's 2 feet tall and covered in bright red, 3-inch-wide blooms. 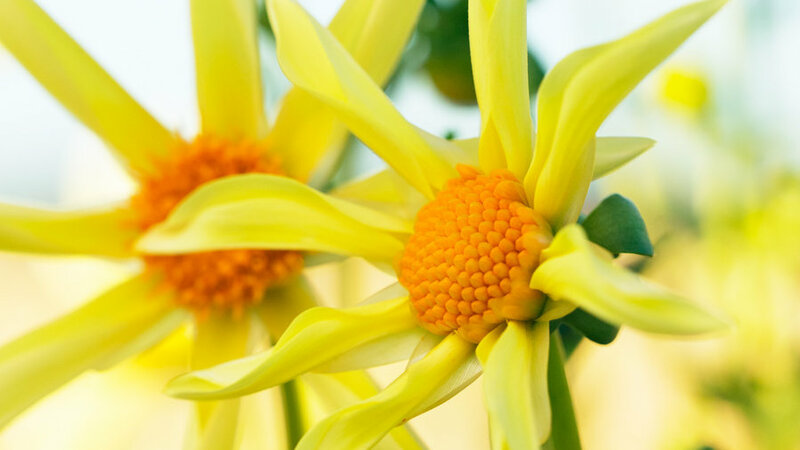 The vivid yellow blossoms on this semi-cactus dahlia are 5 inches wide. 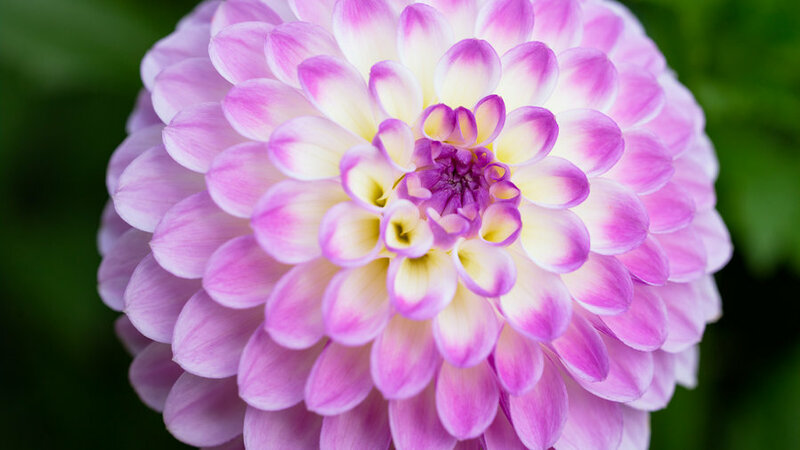 A terrific cut flower. The plant might be compact at only 18 inches, but the blooms cloak it entirely for an anything-but-bitsy display. The 4-inch-wide blooms on this semi-cactus are a particularly nonfading red. 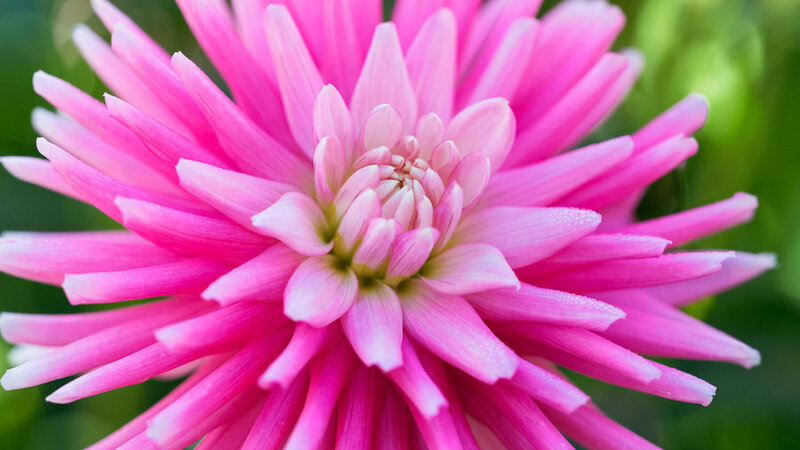 We love the bright pink, 4-inch-wide blooms of this straight cactus. 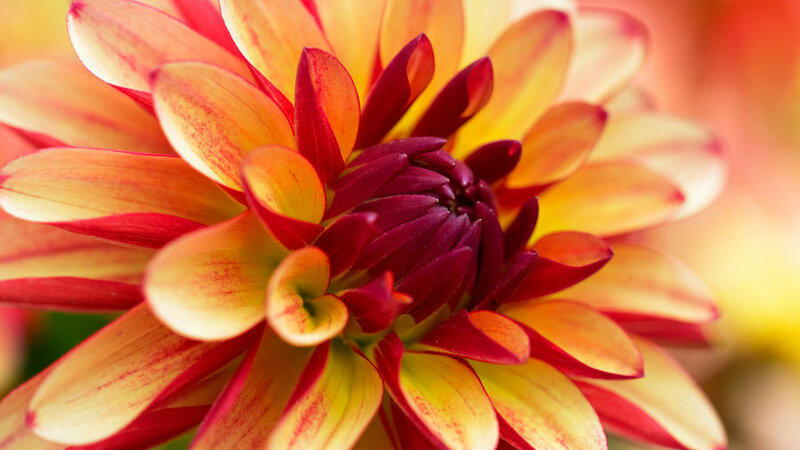 Highly recommended as a cut flower. So delicate, it had us fooled for porcelain! 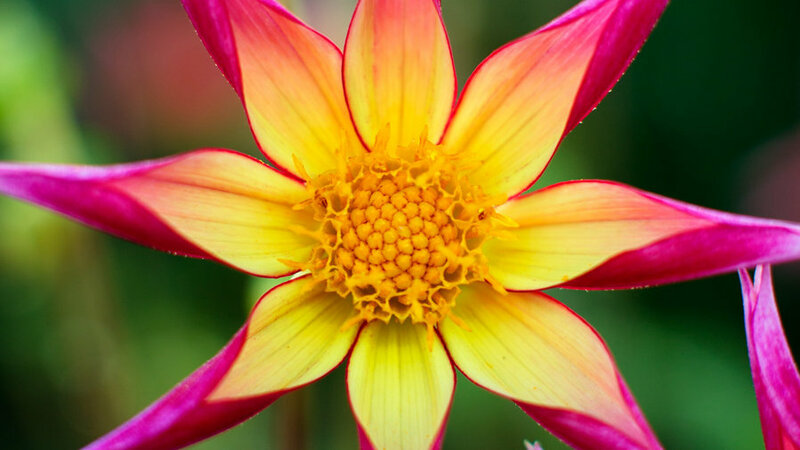 This dwarf dahlia reaches only 18 inches tall yet produces blooms that are 4 inches wide. Three-inch-wide blooms of pink cover this little bush. Apricot-bronze balls measuring 4 inches in diameter make this one an arranger’s dream. 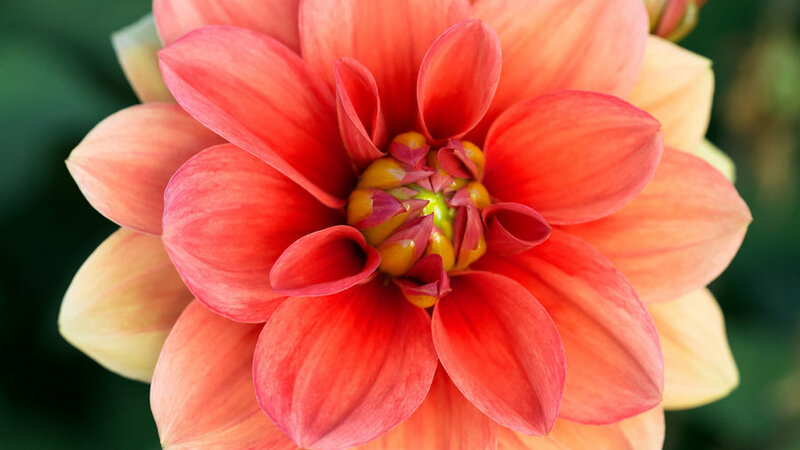 We love this adorable collarette dahlia, bad behavior and all. Blooms are 3 inches wide, and the bush is 2 feet tall. 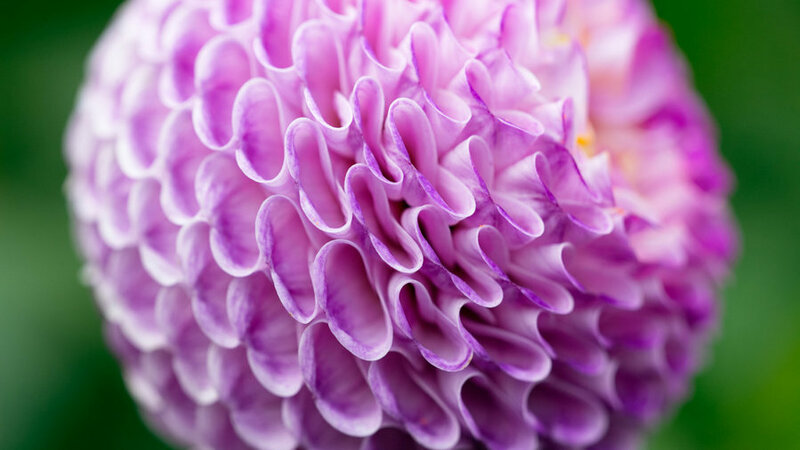 The spherical arrangement of petals on each 2-inch-wide pompon has us hypnotized. 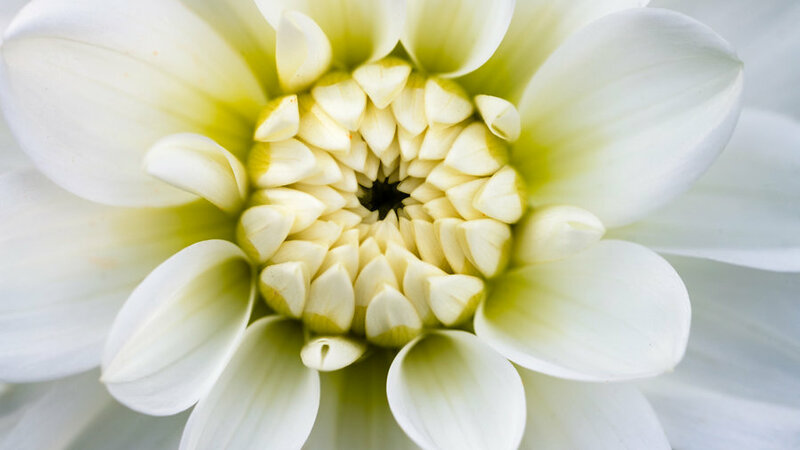 You’ve got to be kidding us with the delicate folds of each petal. 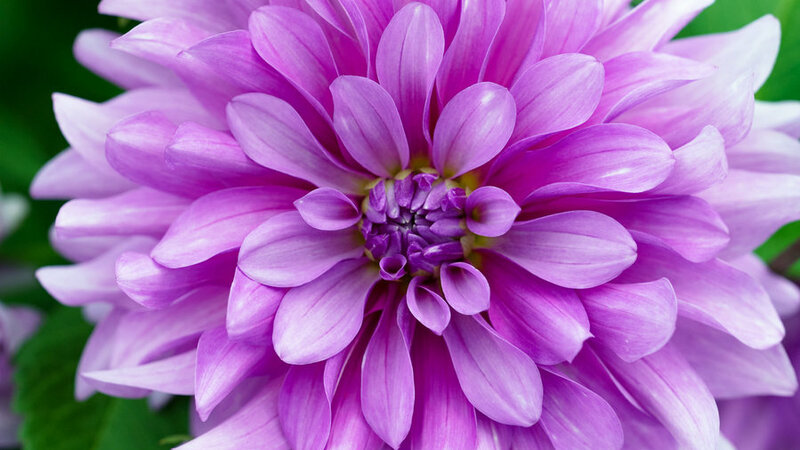 Blooms are 1½ inches wide and a seductive shade of lavender. We’re not sure what the name means, but we’ll take it. 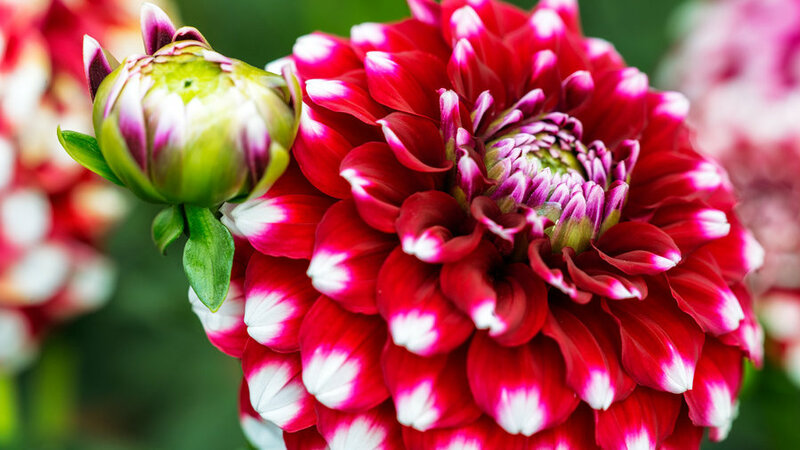 A showy pompon with 2-inch-wide flowers. We find perfection in this pompon, whose black red has us hooked. 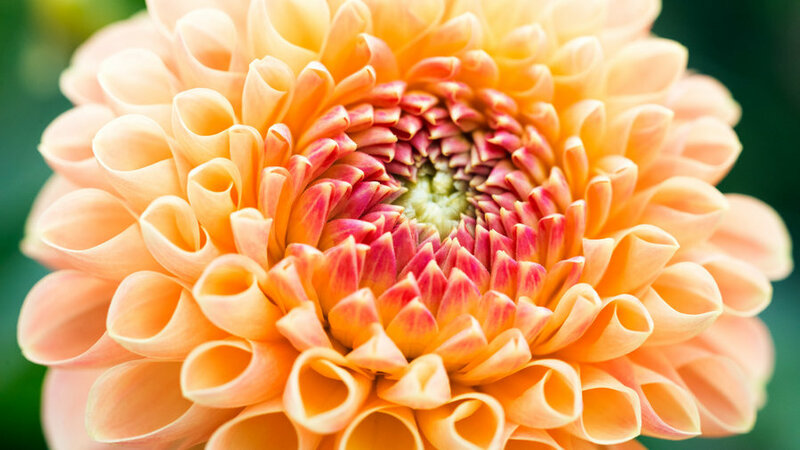 Blossoms measure 1½ inches across. 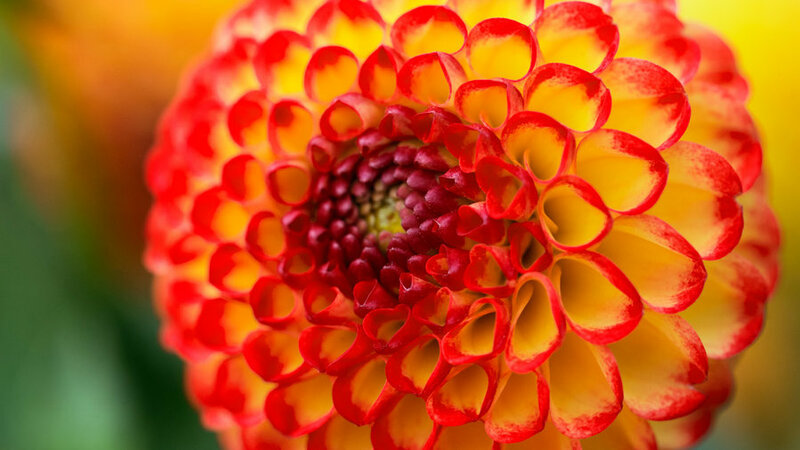 Bright raspberry blooms measuring 3 inches wide brighten up any garden. 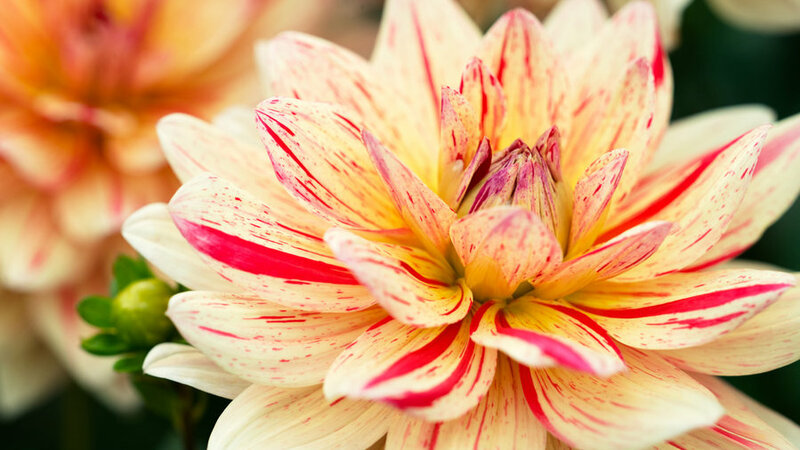 The blooms of this waterlily dahlia are a gorgeous peach blending to yellow, with petals outlined in deep red. We also love that they measure 5 inches across. 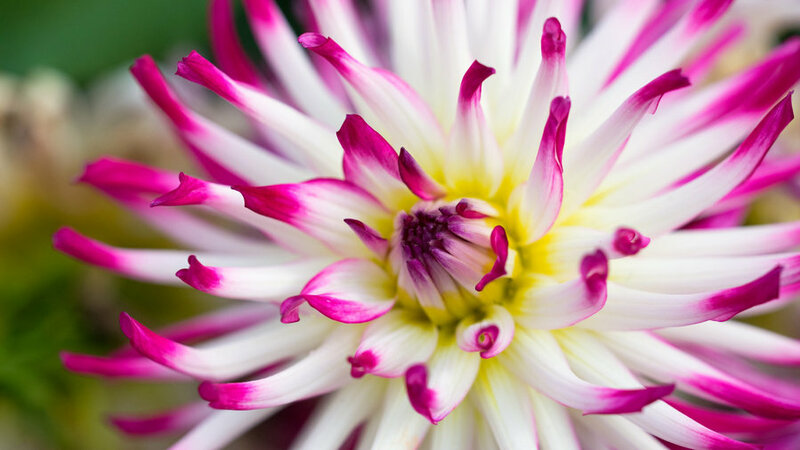 Showy white blooms measure 4 inches across and look like they’ve been dipped in deep fuchsia. 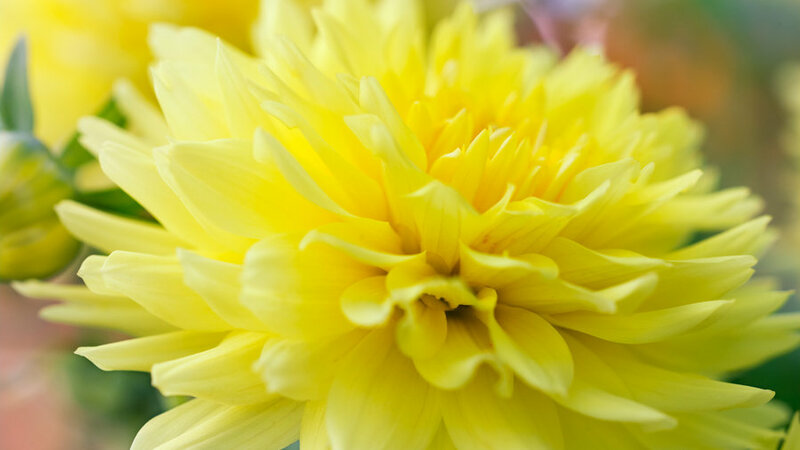 The yellow petals with pink tips have us falling in love. 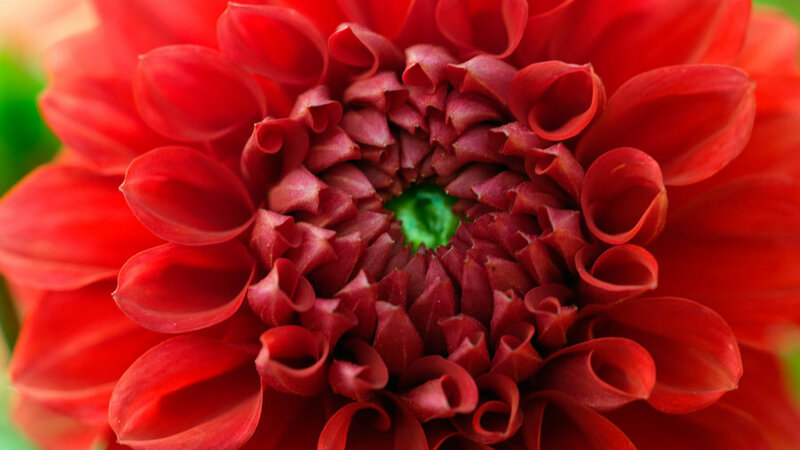 The blooms are just 3 inches wide and hold exceptionally well when cut. 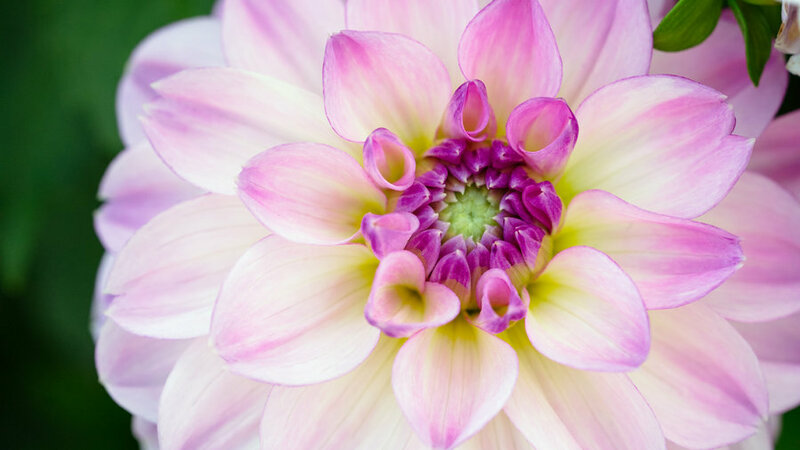 The 3-inch-wide blooms of white blending to lavender are as charming as can be. 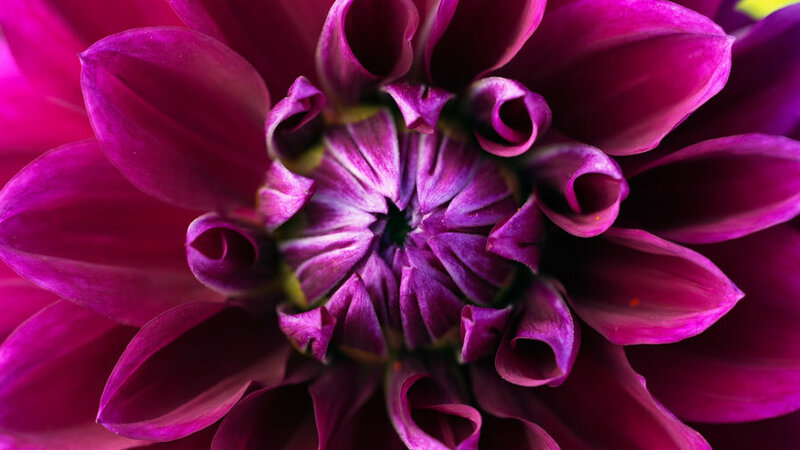 It's eye-catching, for sure, with 4-inch-wide, deep burgundy blooms tipped in white. 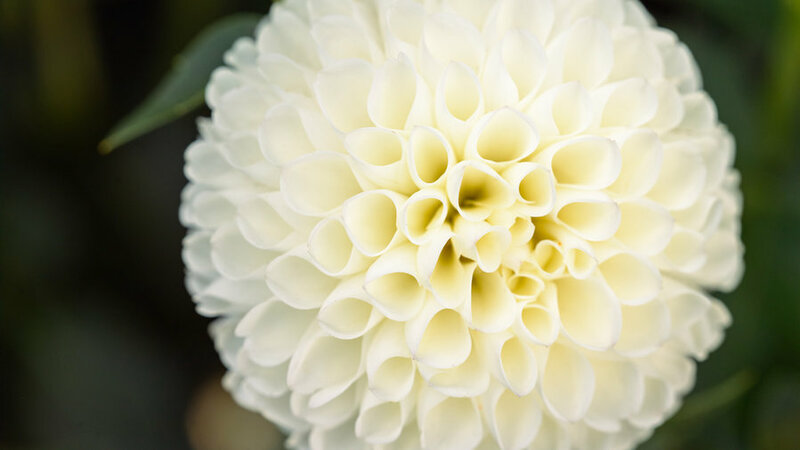 We adore the creamy white blooms that measure just 2½ inches wide. 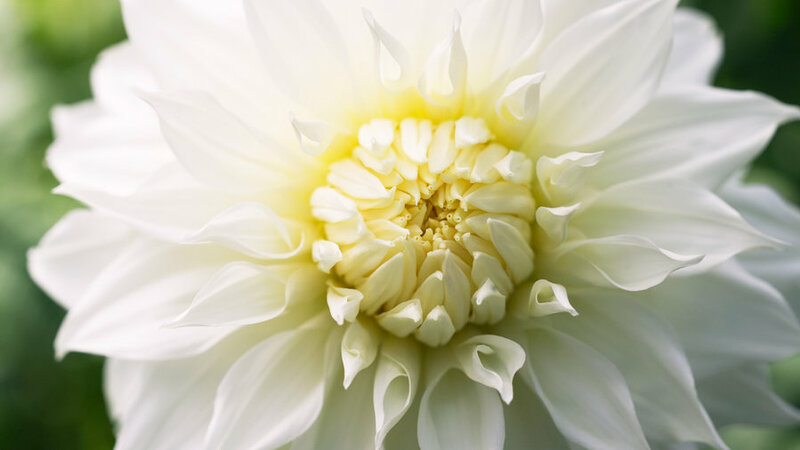 This informal decorative dahlia has pure white flowers spanning 9 inches across on a shrub 4 feet tall. So elegant! 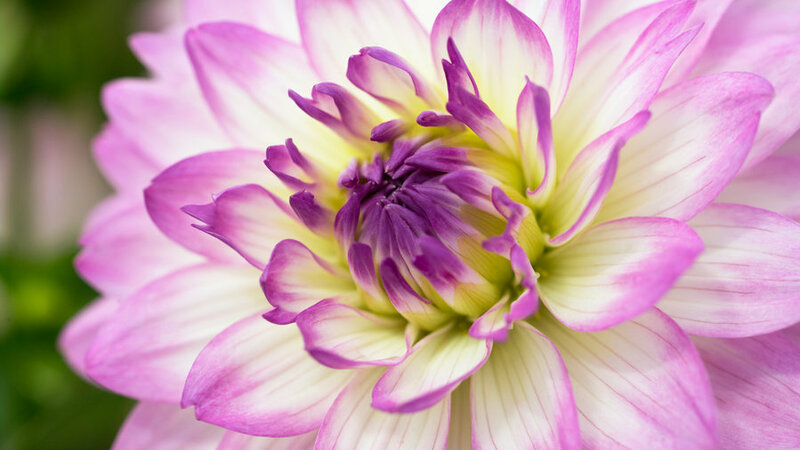 These classic waterlily blooms measure 4 inches wide. 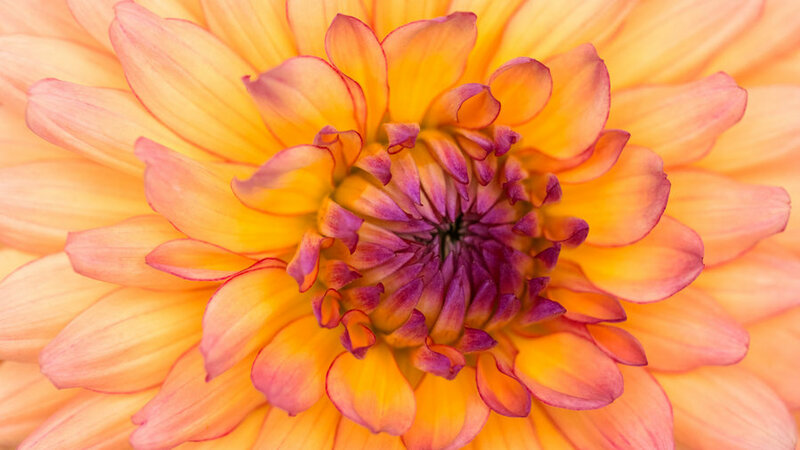 It’s a party in each petal. 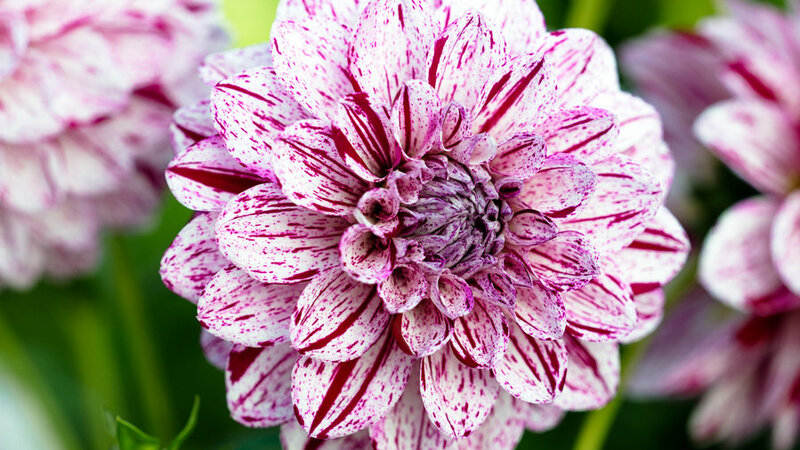 No, really: The 4-inch-wide blooms are white with speckles and splashes of wine purple. 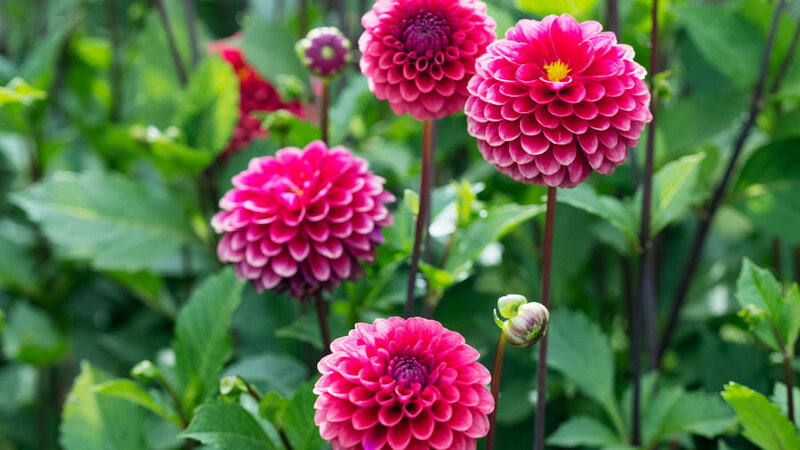 Who needs fireworks on the Fourth of July if you have these in the garden? The 5-inch flowers pop out from everything else in the bed. 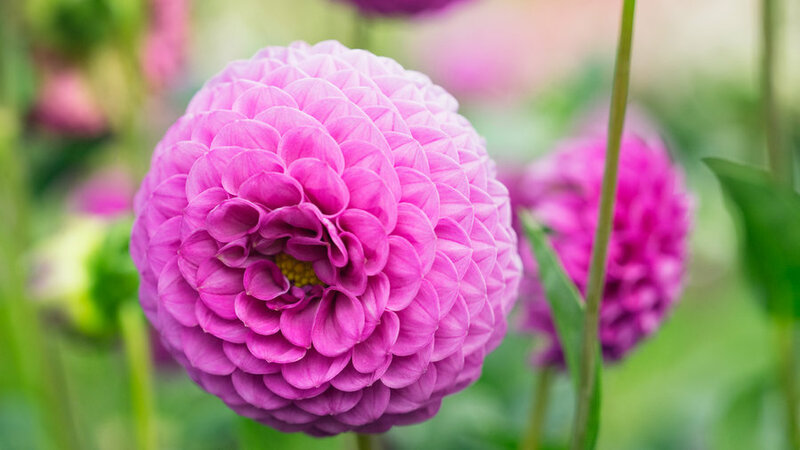 All the way from Holland, this variety has 4-inch-wide blooms shaped like balls. 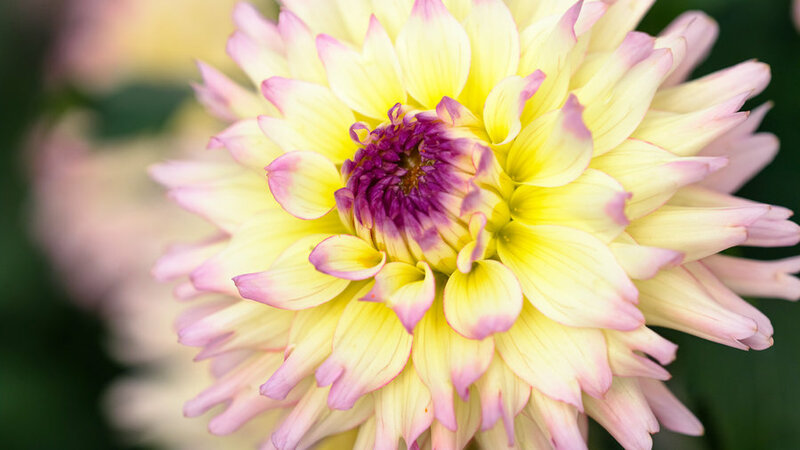 The 4-inch blooms can’t make up their minds between lavender and white, and we won’t make them. 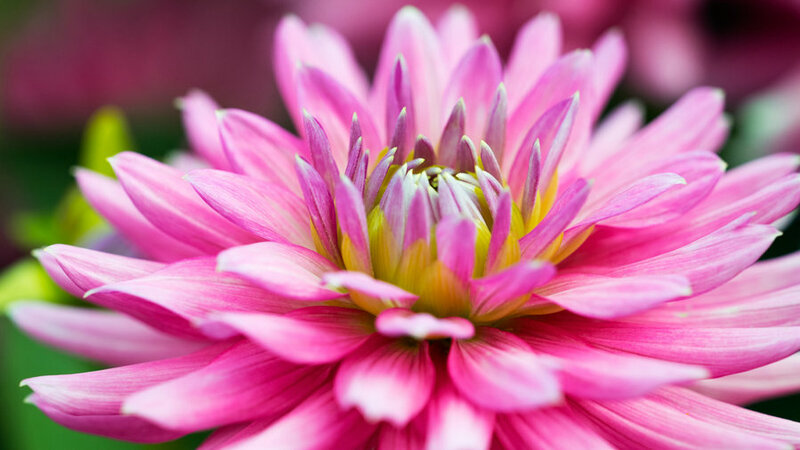 Blossoms are 2½ inches across. 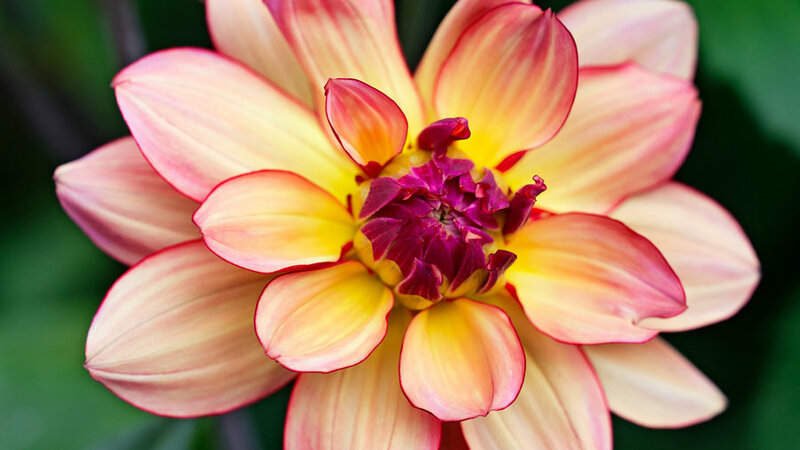 We love the salmon petals with yellow highlights. Because true blue doesn’t exist (yet), we’ll settle for periwinkle. 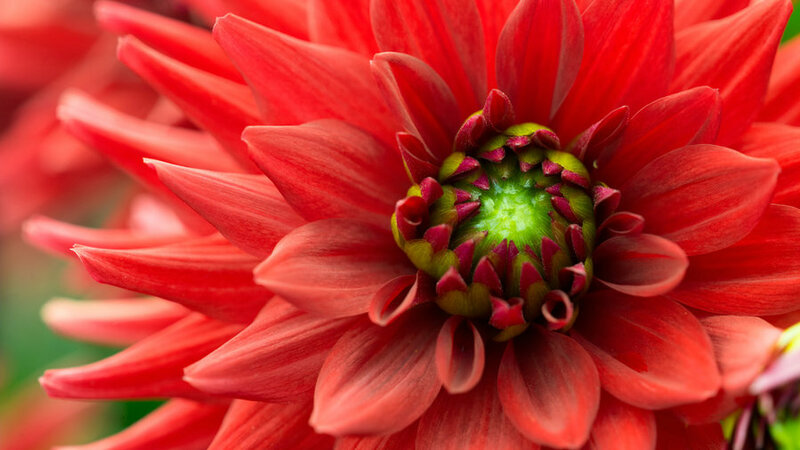 Blooms stand out at 6 inches across. We’re pretty sure someone spiked the punch bowl with this one. 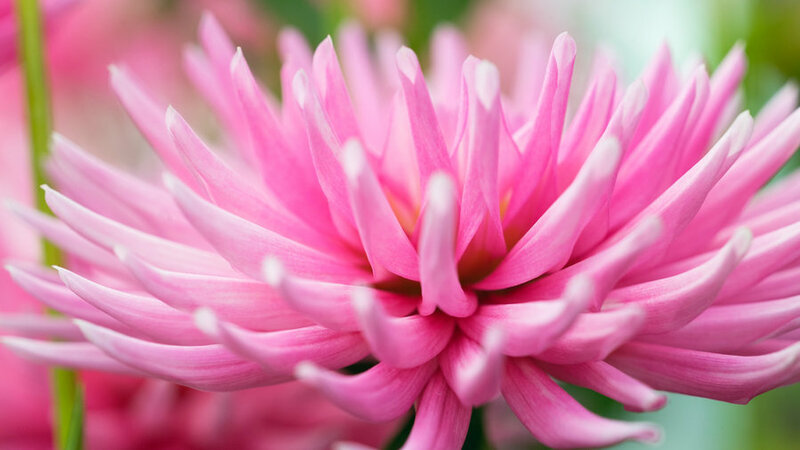 Coral pink blooms are 5 inches wide and great as cut flowers. This crazy variety looks much better than we do on a bad hair day. 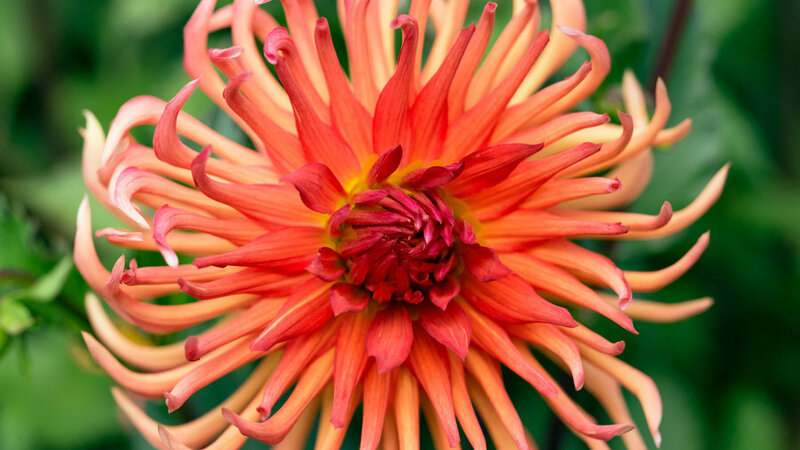 The 4-inch blooms are a vibrant orange, with an occasional red streak. This semi-cactus is noted for exceptionally long-lasting flowers in arrangements. 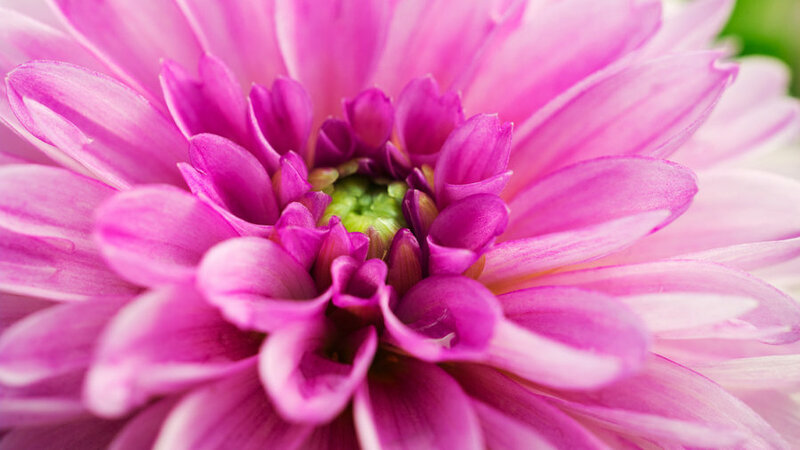 They measure 4½ inches and are pink on the tips, blending to white in the center. 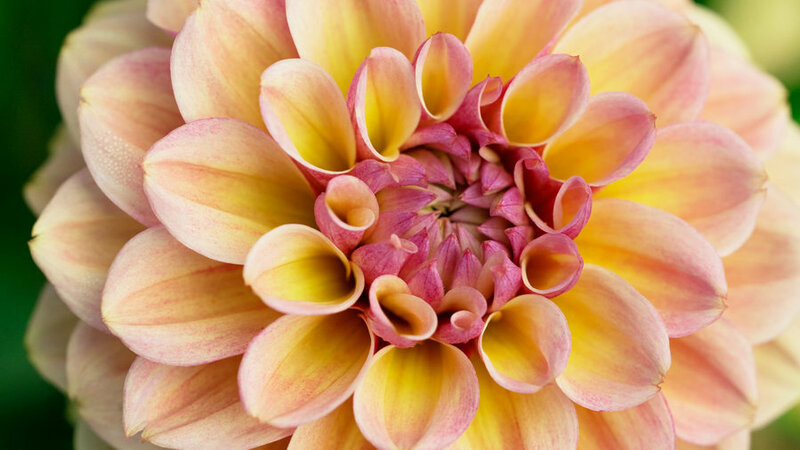 This variety has 5-inch blooms in a rare golden beige. 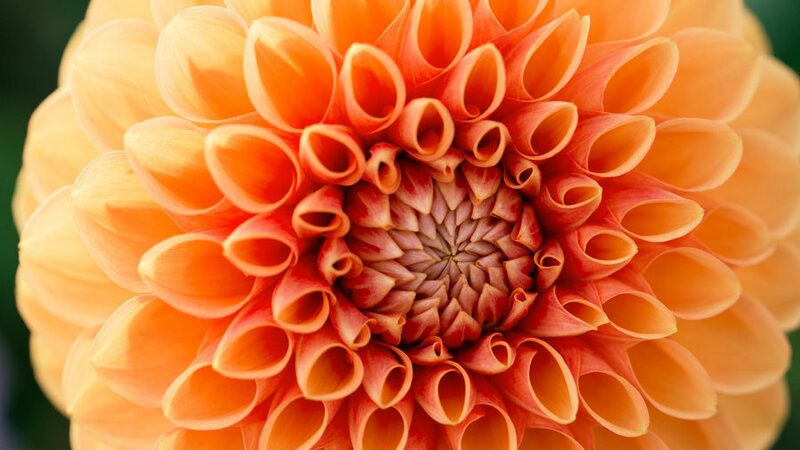 Deep orange blossoms measure 5 inches across. 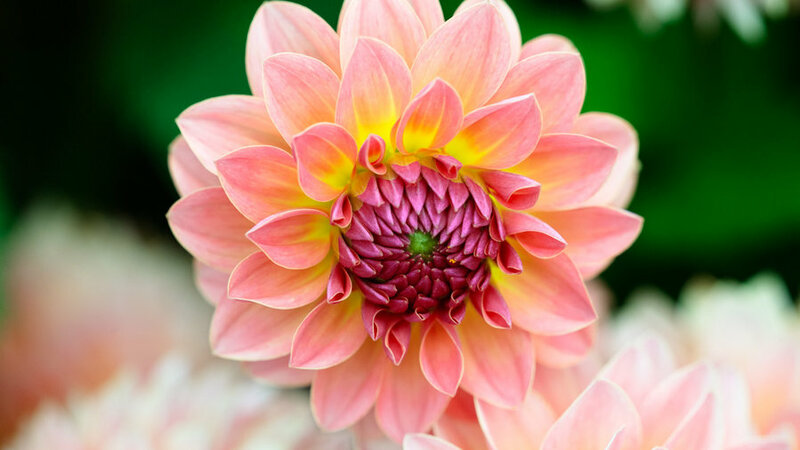 Blooms are 5 inches across in a rich apricot with lavender blush undertones. 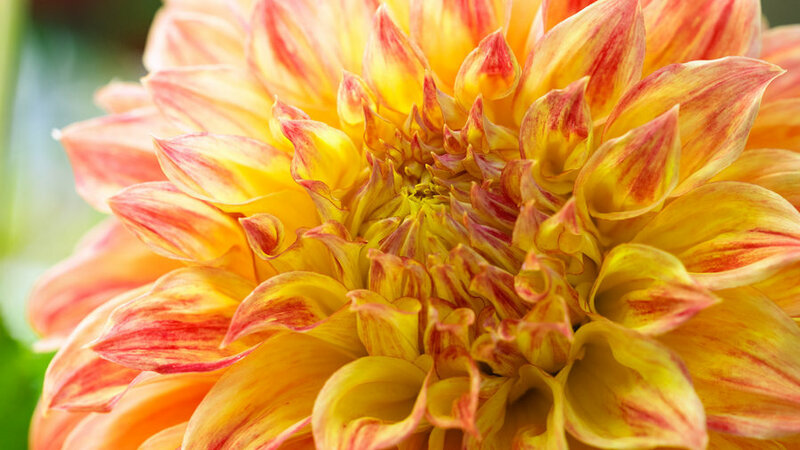 Swan Island Dahlias calls this one sassy, and we agree! Blooms measure 5 inches across. Blooms are 5 inches wide and a true deep purple. 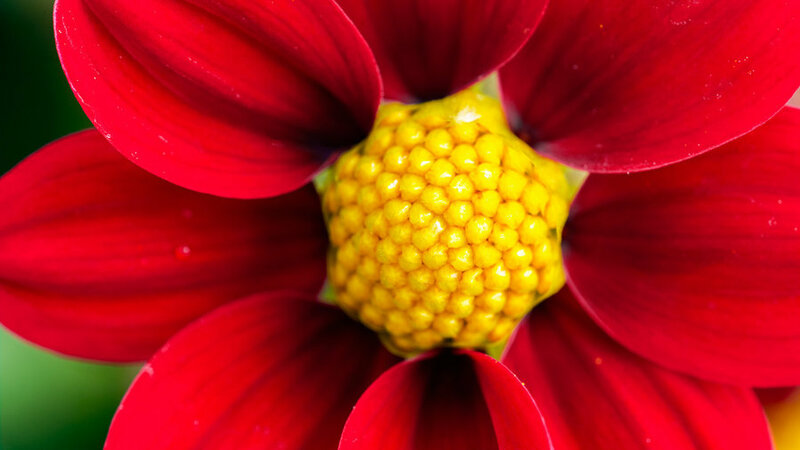 The 6-inch blooms are bright red with a touch of yellow. 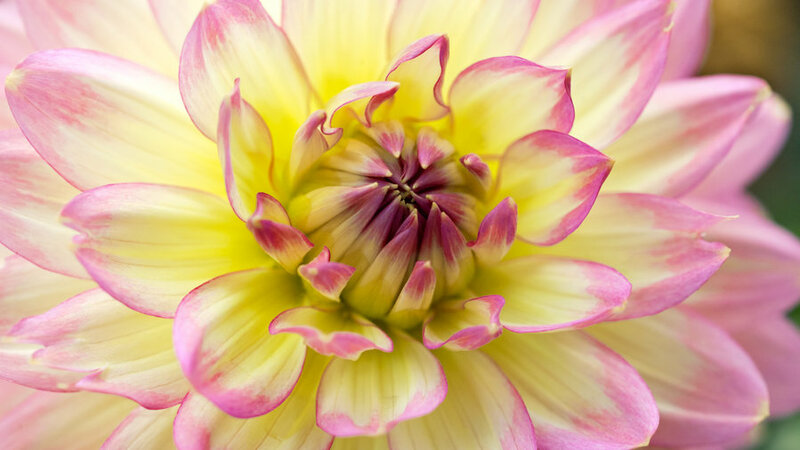 Deeply laciniated petals make this dahlia a showstopper. 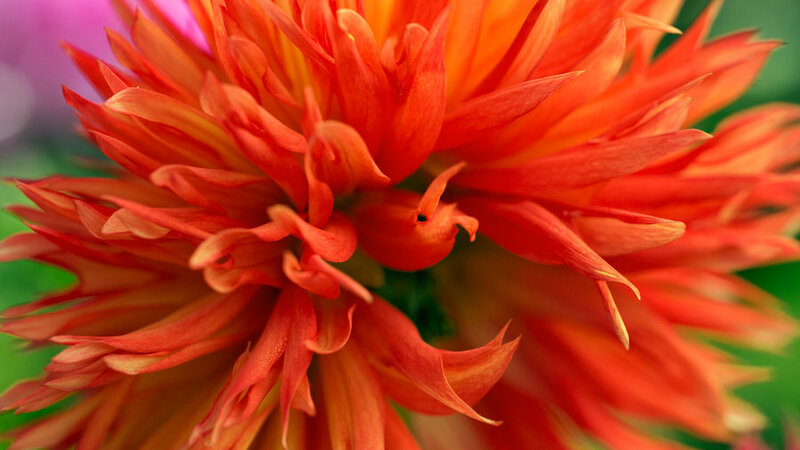 The 3-inch-wide blooms of burnt apricot with red undersides are great cut flowers. 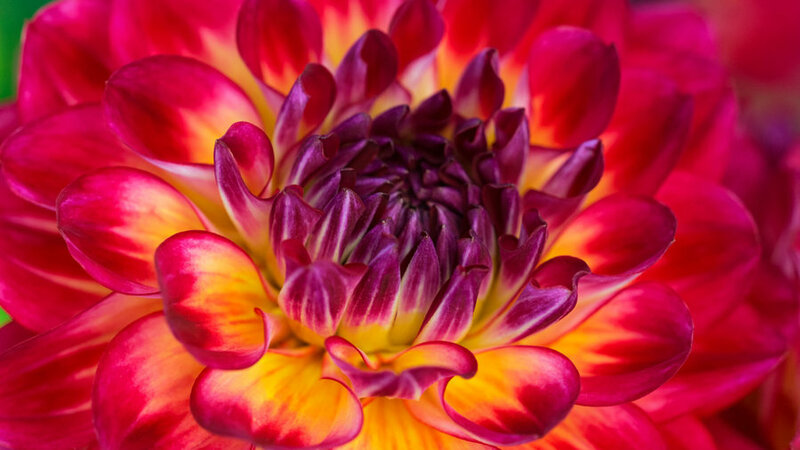 The 8-inch blossoms curl slightly, resembling flames. 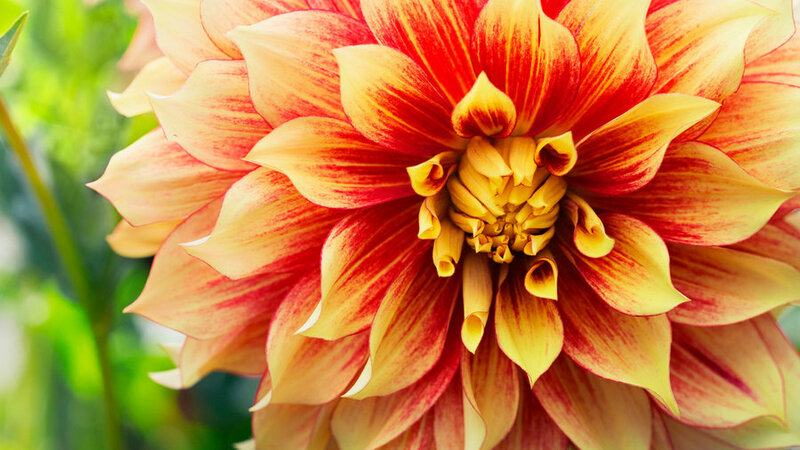 Brace yourself—blooms are up to 12 inches wide on a 4½-foot-tall plant. 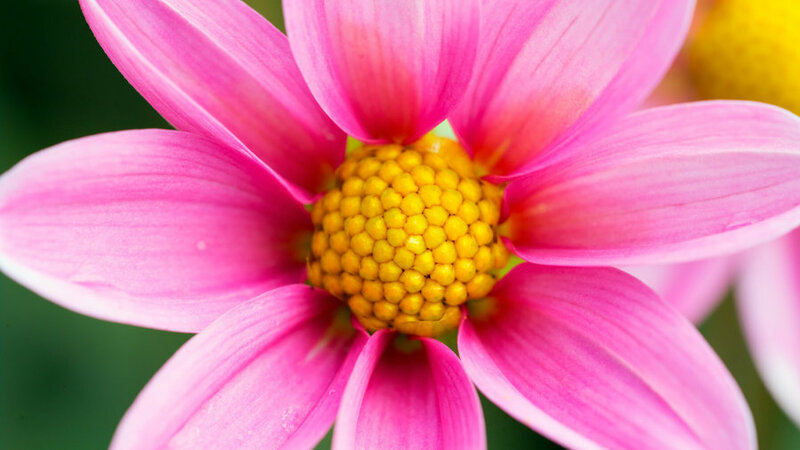 No, it’s not a coneflower. 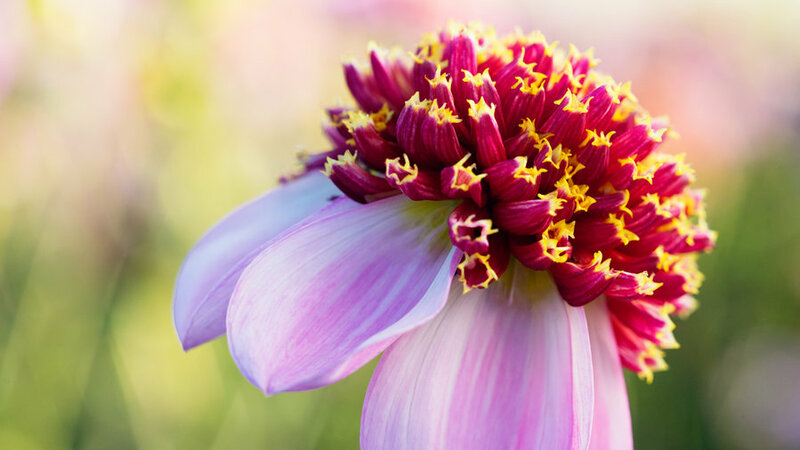 It's an anemone-flowered dahlia with a pincushion center. Blooms 4 inches wide cover a bush 4 feet tall. 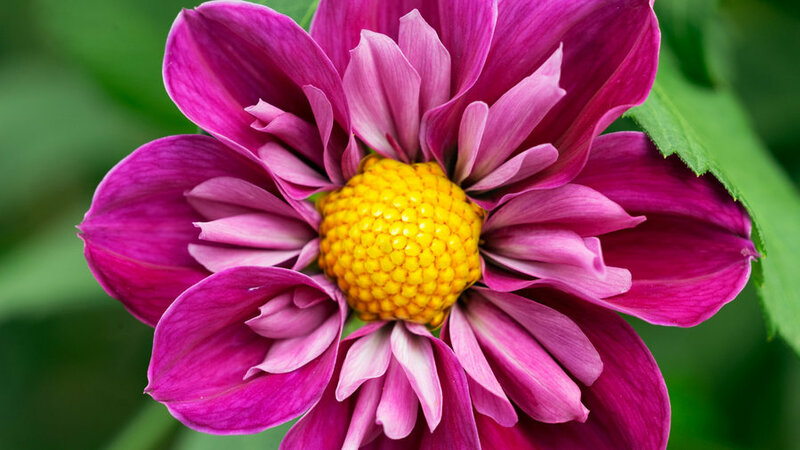 We love this orchid-flowering dahlia with 3-inch-wide blooms on a bush reaching 3 feet tall. The straight cactus blooms are 4 inches wide and have wonderful stems for cutting. The plant reaches 4½ feet tall. The 2½-foot-tall bush covers itself in orchid-flowering blooms that are fuchsia with a bright yellow center.